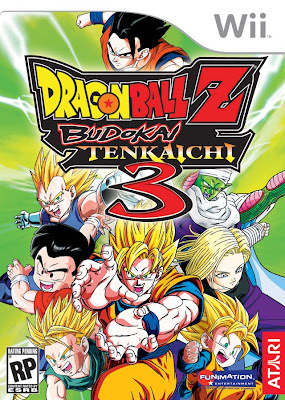 NintenGen: Dragon Ball Z: Budokai Tenkaichi 3 to have online play? *UPDATE* Now confirmed! Dragon Ball Z: Budokai Tenkaichi 3 to have online play? *UPDATE* Now confirmed! 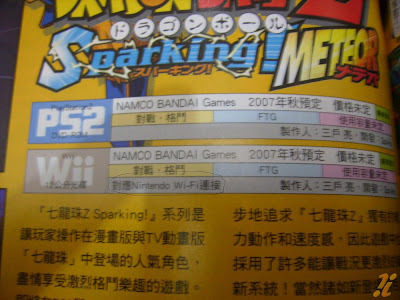 If you click on the bottom picture and look closely you will see "Nintendo Wi-Fi" as being apart of the Wii version for this game. This is a strong possibility that some form of online play will be in the game. If it is leader boards or straight up 1 vs. 1 battles remains to be seen. Nothing is confirmed so take it as a rumor. UPDATE: DBZ BT3 is now confirmed from IGN via Atari to have competitive online play for the Wii version only. That is awesome news for me since I really enjoyed DBZ BT2 and wanted more when I was finished with the game.